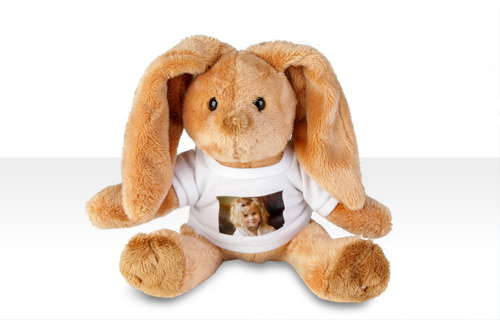 This cute stuffed bunny with your personal favourite photo on his little T-shirt will be a hit with everyone, not just your little ones. After all, we can all do with a friend to cuddle and share our dreams! 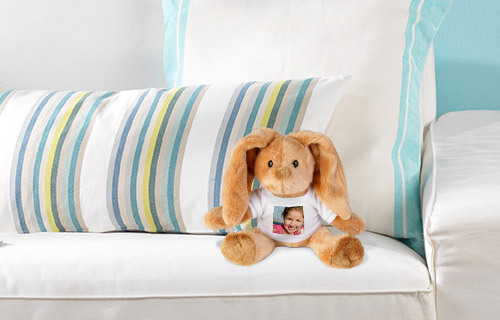 With his T-shirt is made from 100% polyester and is washable at 30°C. You can remove his T-shirt if you wish!